Contact Us - Abracadabra Presentation Graphics, Inc.
Have any questions regarding Abracadabra's services? Feel free to contact us via e-mail, or give us a call to speak to one of our presentation specialists about your next presentation, meeting, video or staging event. 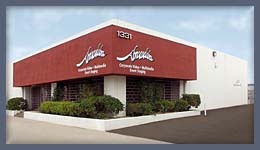 Abracadabra is located in the heart of Orange County, California. 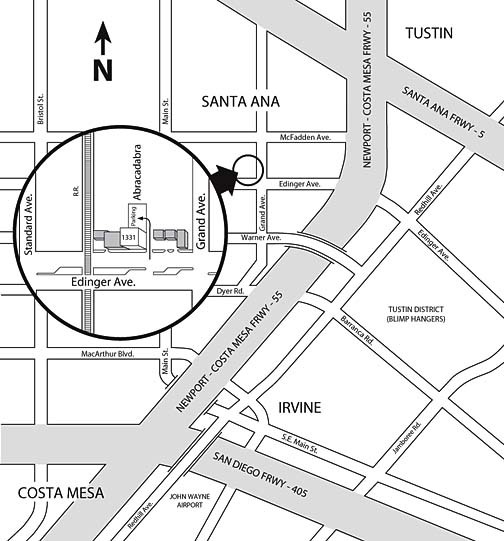 Our facility in Santa Ana positions us freeway close to businesses in Irvine, Newport Beach, Costa Mesa, Fountain Valley, Anaheim, Fullerton and the rest of Orange County, as well as Los Angeles and San Diego. www.Abracadabra.Pro • Copyright © 2009 Abracadabra Presentation Graphics, Inc.